Yep, we'll do inspections too! 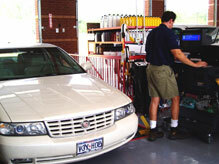 We can perform your annual, compulsory safety and/or safety and emission inspections. With our two inspection machines, we can server our customers faster.